Veterinary medicine is advancing every day. One of the most significant advances in recent memory is the use of ultrasonography to help diagnose various disorders in our animal companions. This week I share some information about this truly important imaging modality, and hope you find the information insightful. Happy reading! As side note, this week marks the second anniversary of this little blog. I just want to say thank you for all the support I have received since creating CriticalCareDVM.com. I hope to continue growing this resource for pet parents, advocating for the “triad of care” – that is, a healthcare team compose of pet parent, family veterinarian, and board-certified veterinary specialist. Ultrasonography – How does it work? Ultrasound is a painless method of imaging the body using very high-pitched sound waves. These sound waves are emitted from a hand-held transducer (often called a probe). 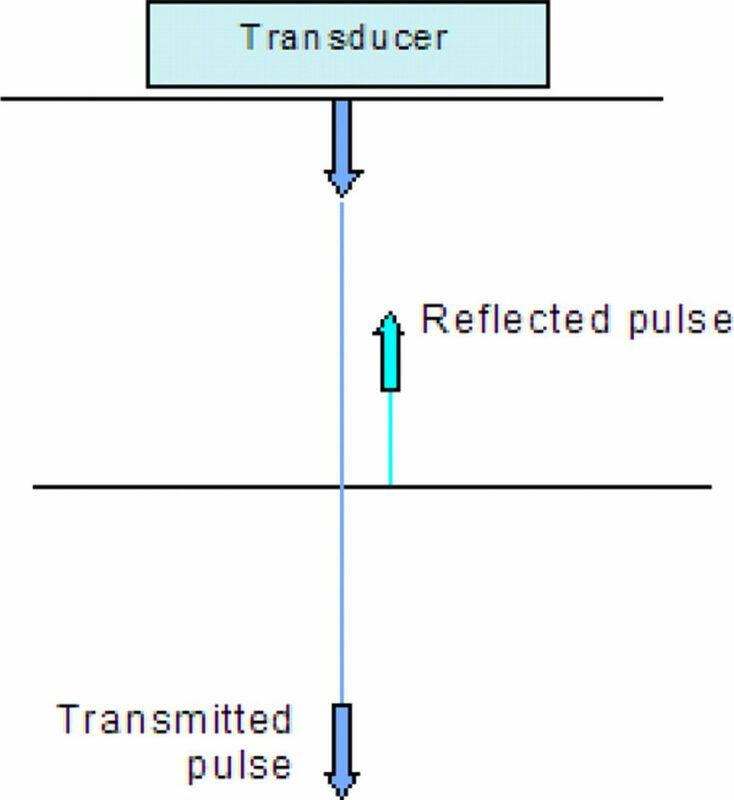 Some waves are transmitted through the body and some are subsequently reflected by the body back to transducer to create an image of the inside of the body. Dense areas in the body reflect the sound waves more readily, and appear as white or bright shades of grey. Conversely, the sound waves pass readily through less dense areas and appear black or dark grey. Such imaging is used for a wide variety of health disorders, including diseases of the liver, kidneys, bladder, stomach, intestines, adrenal glands, pancreas, spleen, reproductive tract, and blood vessels. Ultrasonography – Why might a veterinarian recommend it? High quality diagnostic imaging is invaluable for evaluating sick dogs and cats. Radiographs (x-rays) are long been the quintessential imaging test in companion animals. Such an imaging modality is readily available and relatively inexpensive. Yet, radiographs/x-rays are limited in the information the reveal. The images can’t differentiate the architecture of internal organs because these “soft” tissues simply appear as various shades of grey around bones. Although ultrasound waves can’t penetrate bone, they can image soft tissues and detect fluid, such as blood or urine. This technology can show the architecture of internal organs like the liver, heart, and spleen to detect a myriad of problems, most notably masses, nodules, cysts, abscesses, and congenital abnormalities. Ultrasonography – Who performs this imaging procedure? 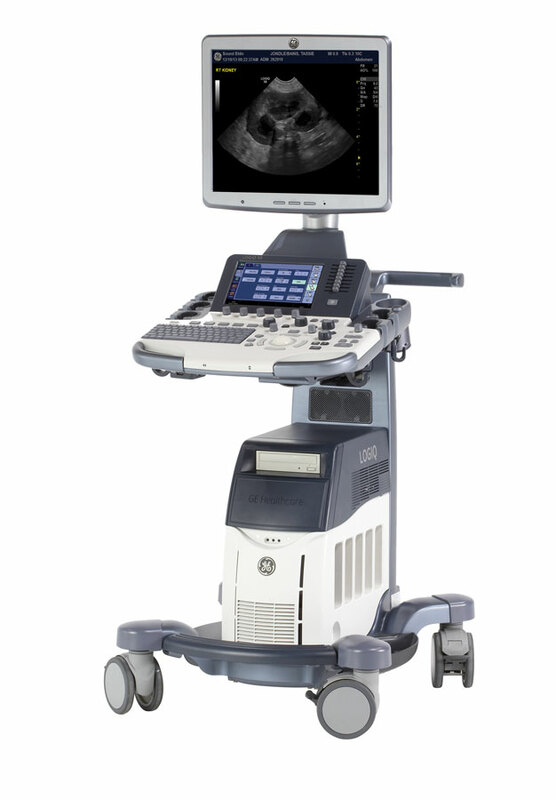 Ultrasound equipment is quite specialized and relatively expensive to purchase. Yet any veterinarian with enough money can buy an ultrasound machine. Purchasing such equipment is not restricted to board-certified veterinary specialists. With that being said, one can’t purchase clinical experience performing ultrasound examinations. Undoubtedly, this experience is invaluable when accurately interpreting ultrasound images. 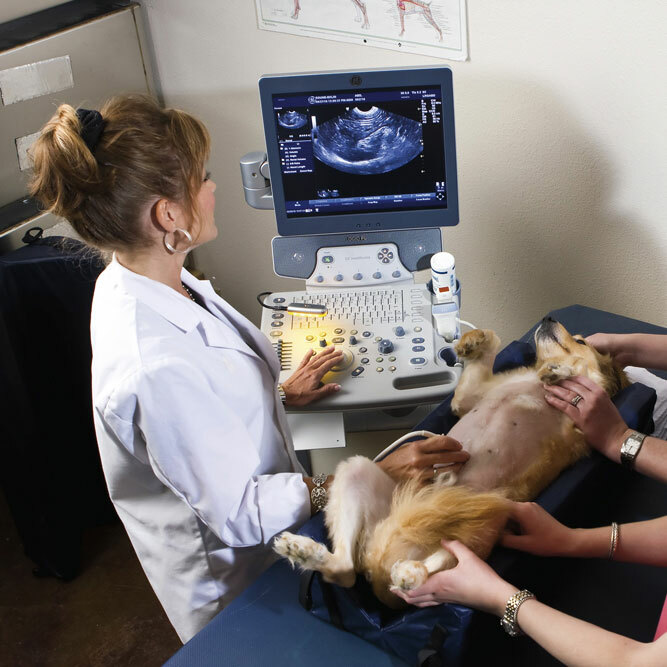 Family veterinarians can and do attend continuing education seminars and laboratories (taught by board-certified veterinary specialists) to gain experience in ultrasonography. These events provide only a few hours of hands-on experience at a time. Such training should be contrasted to that of a board-certified veterinary radiologist or internal medicine specialist who spends three years or more performing multiple ultrasound examinations each day with guidance from a board-certified mentor. Pet parents are often not adequately advised of the distinct difference in ultrasound training between primary care veterinarians and board-certified veterinary radiologists and internal medicine specialists. Some primary care doctors offer ultrasound examinations with them, but also tell pet parents they may still need to have ultrasound study performed by a board-certified veterinary specialist. For me, this doesn’t make sense. Why would one ask a family to potentially pay twice for a diagnostic test? Board-certified veterinary radiologists and internal medicine specialists have both the equipment to perform ultrasound examinations and the expertise needed to accurately interpret images obtained during them. Ultrasonography – How is it performed? 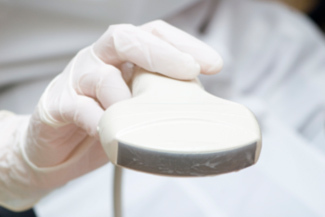 Ultrasound procedures are non-invasive. Pets are traditionally supported in a well-cushioned pillow, and trained medical staff hold and soothe patients during the procedure so they are as relaxed as possible. Most ultrasound procedures do not require anesthesia or sedation. Your pet’s medical team will inform you should they believe your pet needs anesthesia/sedation to complete the ultrasound procedure. A veterinarian performed an abdominal ultrasound examination on a dog. Note the dog is resting in a comfortable cushion, and the abdomen has been shaved to allow obtaining diagnostic quality images. A pet’s hair at the site of interest (e.g. : abdomen) will be shaved to obtain ultrasound images. 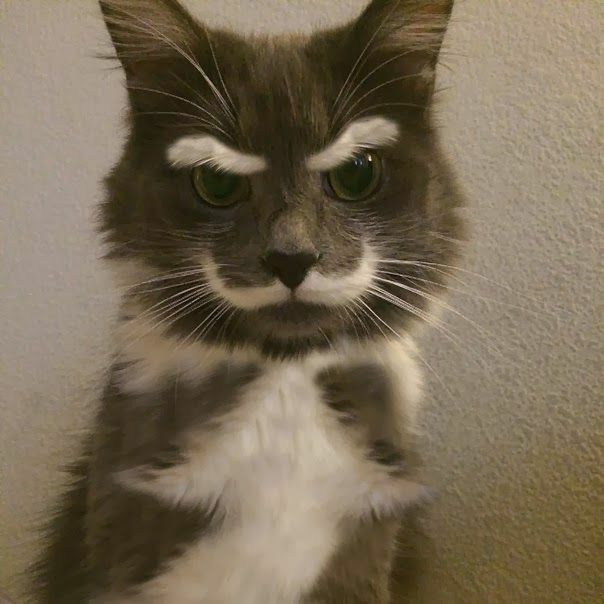 Pet parents occasionally request veterinarians don’t shave their pet. Such a request is inappropriate, and could prevent the doctor from obtaining diagnostic quality images. The veterinarian will apply a non-toxic (and often blue) gel to the shaved area to facilitate capturing high resolution images. Some patients may benefit from minimally invasive sampling of an internal structure if an abnormality is visualized during the ultrasound procedure. The sampling procedure, called a fine needle aspiration or FNA, typically does not require anesthesia or sedation. Your pet’s medical team will advise you if such a procedure is recommended for your fur baby. 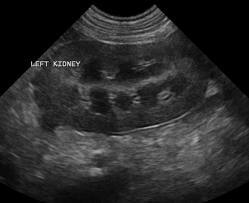 Ultrasonography is a very powerful diagnostic imaging tool to help evaluate sick dogs and cats. Partnering with a board-certified veterinary radiologist or internal medicine specialist can be invaluable for maximizing the utility of this imaging test. An appropriately trained veterinarian can wield this imaging modality to readily identify various diseases, potentially helping to set a patient on the path to proper diagnosis and treatment.